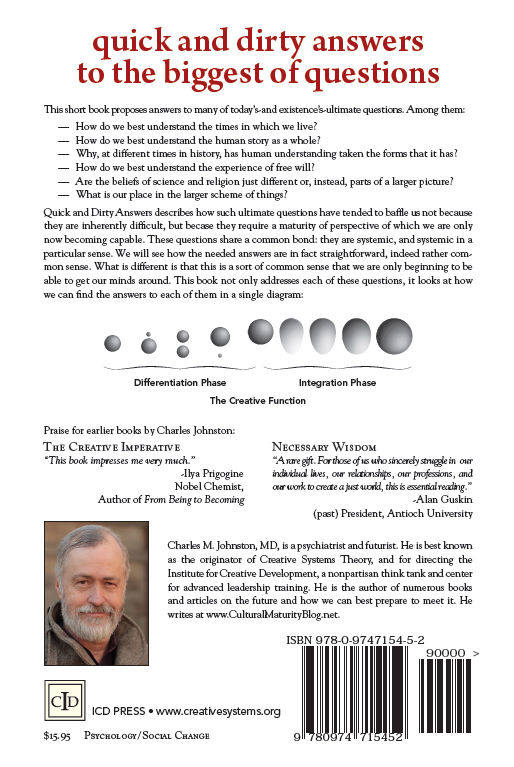 Quick and Dirty Answers to the Biggest of Questions is intended for people who find particular fascination with overarching, “theory of everything” reflection. It uses the thinking of Creative Systems Theory to take on some of today’s most important current questions and also some of history’s most ultimate concerns. Some examples: How do we best understand the times in which we live? How do we best understand the human story as a whole? Why, at different times in history, has human understanding taken the forms that it has? How do we best understand the experience of free will? 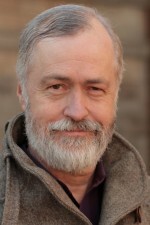 Are the beliefs of science and religion just different or, instead, parts of a larger picture? And what is our place in the larger scheme of things? 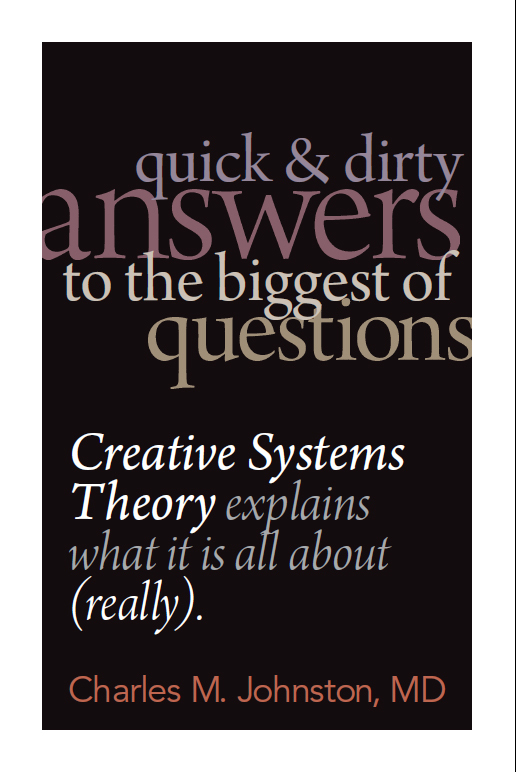 Quick and Dirty Answers addresses how the new, more mature kind of understanding described by the Creative Systems Theory concept of Cultural Maturity, besides helping us confront modern-day challenges, also brings a more complete kind of perspective to more ultimate questions. It clarifies how history’s most baffling quandaries have escaped understanding less because they are inherently difficult, than because they require a maturity of thought that we are only now becoming capable of. The questions noted above share a common characteristic: The thinking needed to address them is systemic, and systemic in a particular sense we are only beginning to fully grasp. Quick and Dirty Answers describes how the needed answers to these and other questions are in fact straightforward, indeed rather common sense. What is new and different is that this is a sort of common sense that we are only beginning to be able to get our minds around.